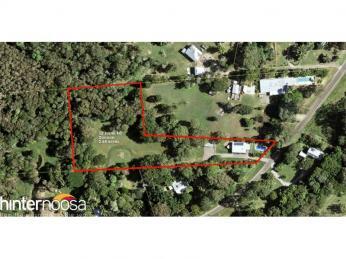 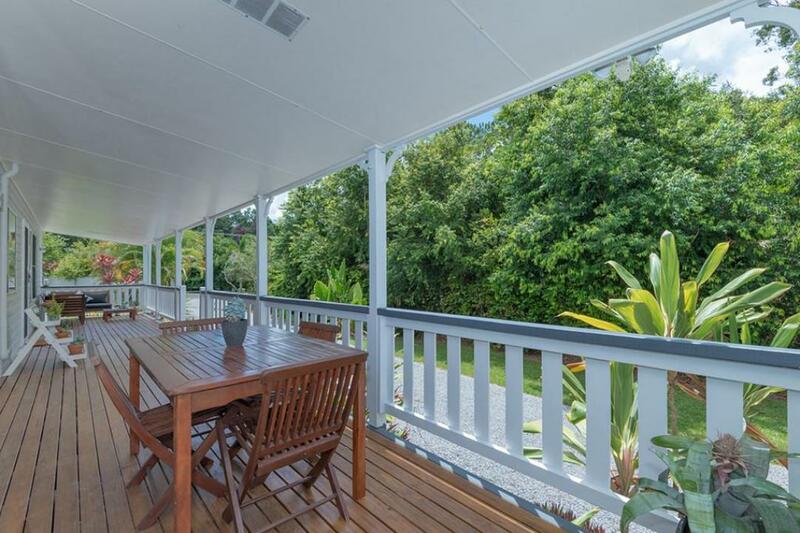 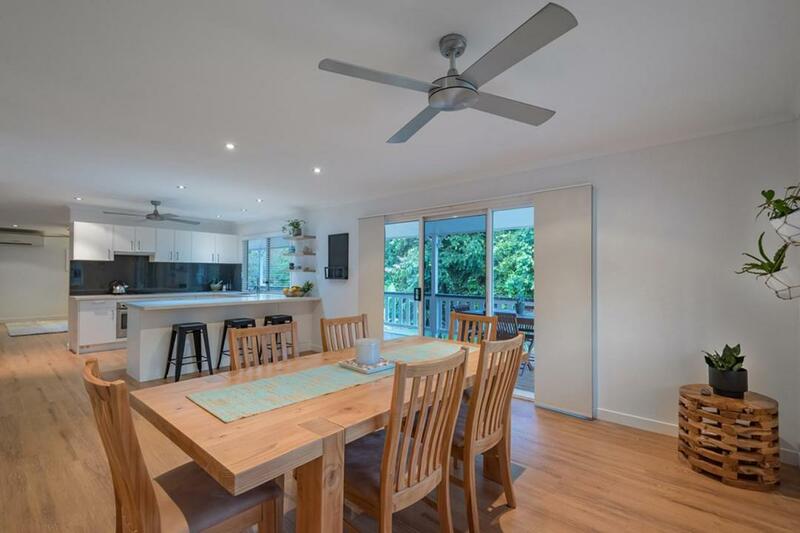 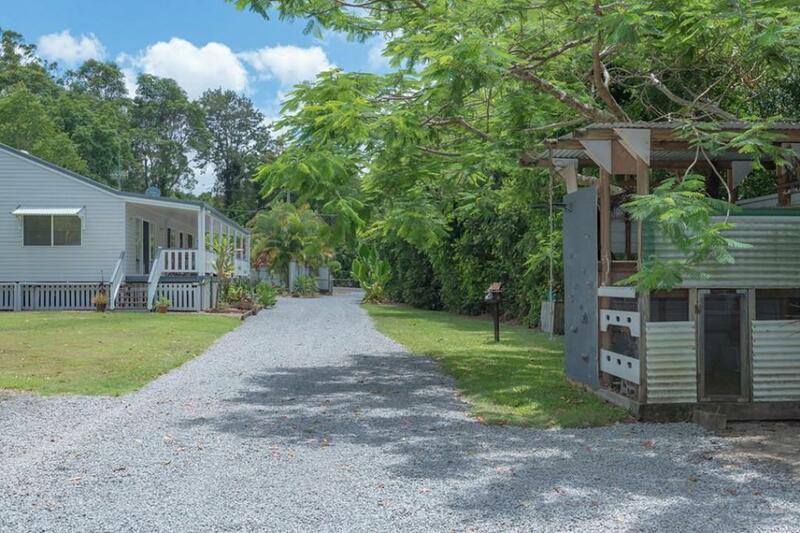 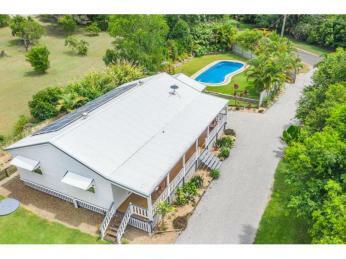 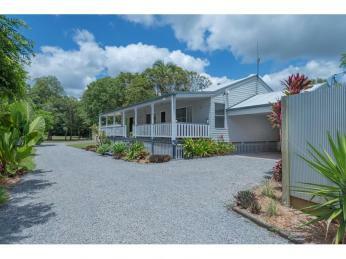 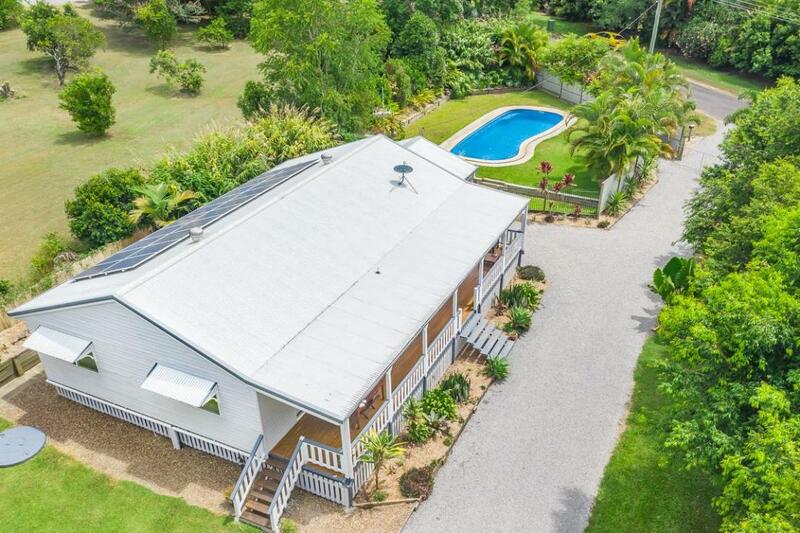 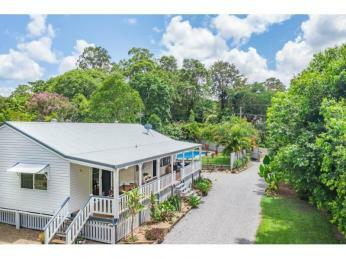 Situated just six minutes from Noosaville, this property is perfectly suited for anyone looking for a small acreage with a home where everything has been done. 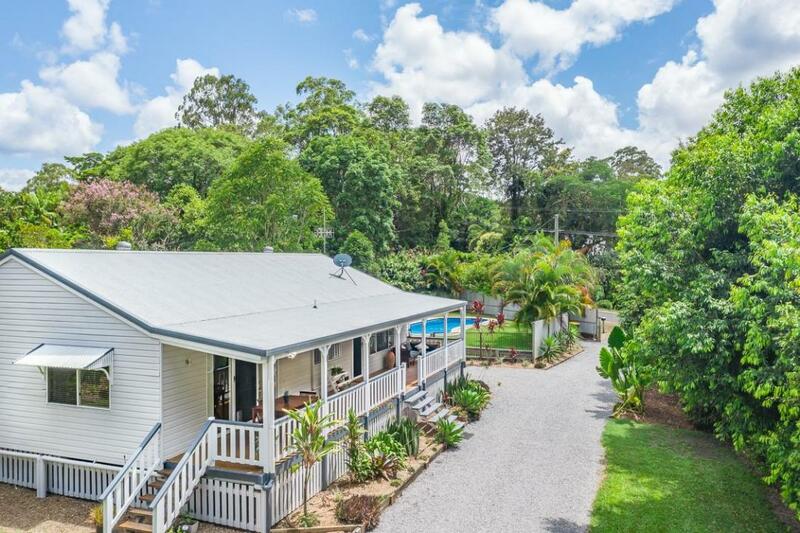 Set on 2.5 usable acres, the 3 bed, 1 bath character home has had a contemporary renovation. 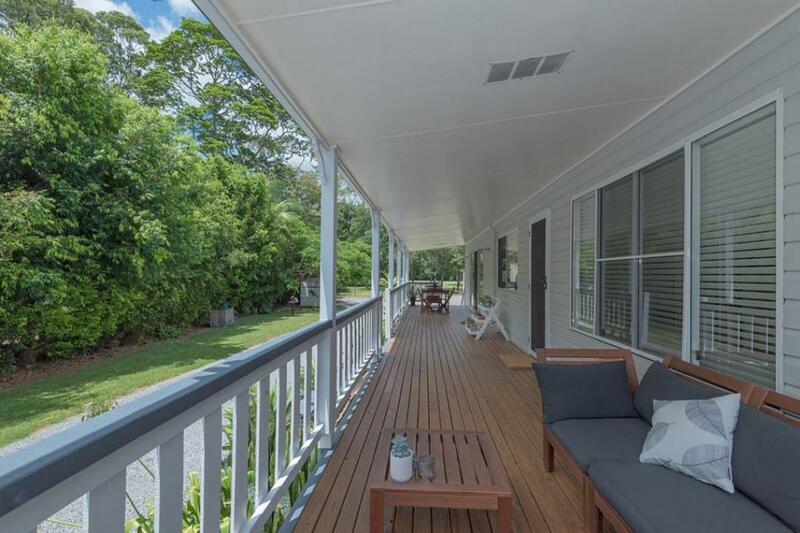 The first thing you'll notice is the elevated and shaded front verandah, which offers plenty of space for relaxing with friends and family while looking over the beautifully landscaped gardens. 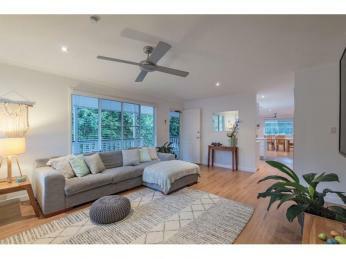 Stepping inside, the inviting open plan living area is light and spacious, thanks to doors opening onto the verandah and large windows. 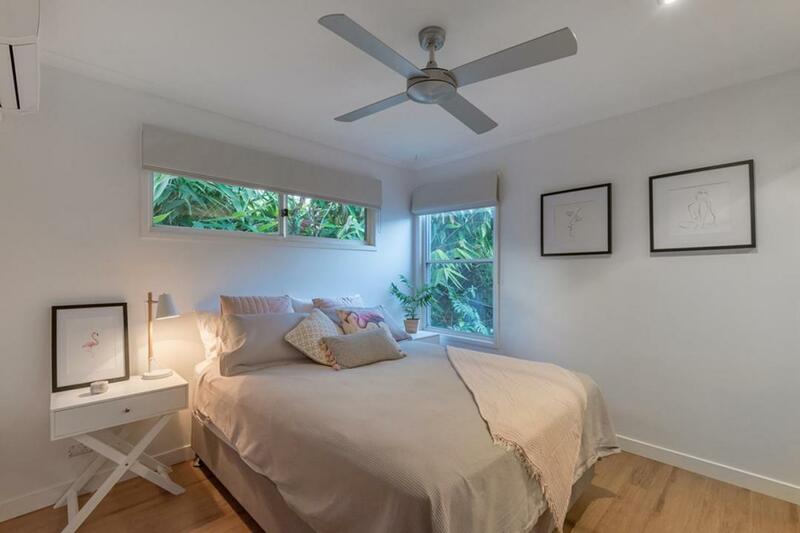 If breezes through the windows aren't enough, this space is also air-conditioned. 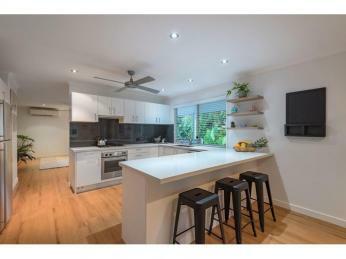 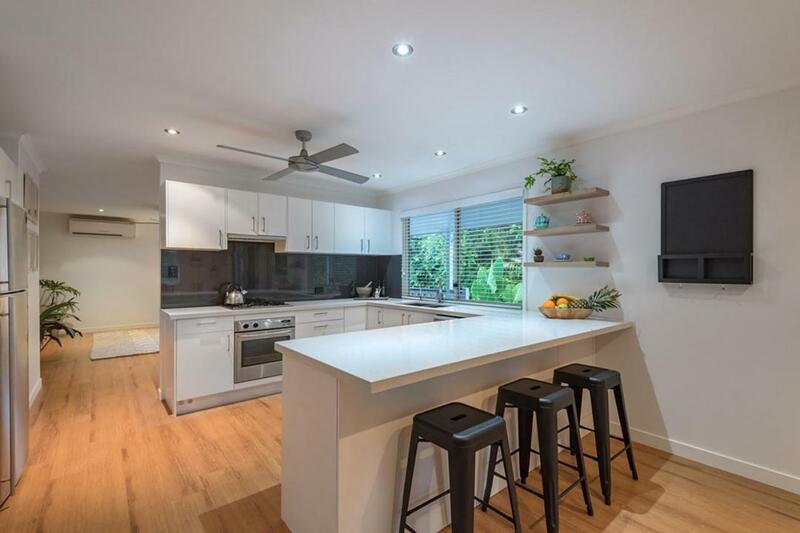 The centrally-located modern kitchen features stone benchtops, gas cooking, stainless steel dishwasher and breakfast bar. 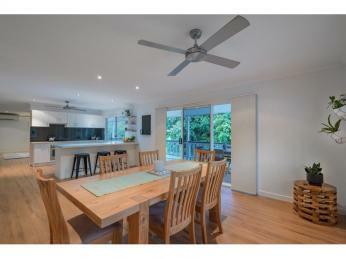 The dining area sits at one end of the kitchen, and the lounge on the other. 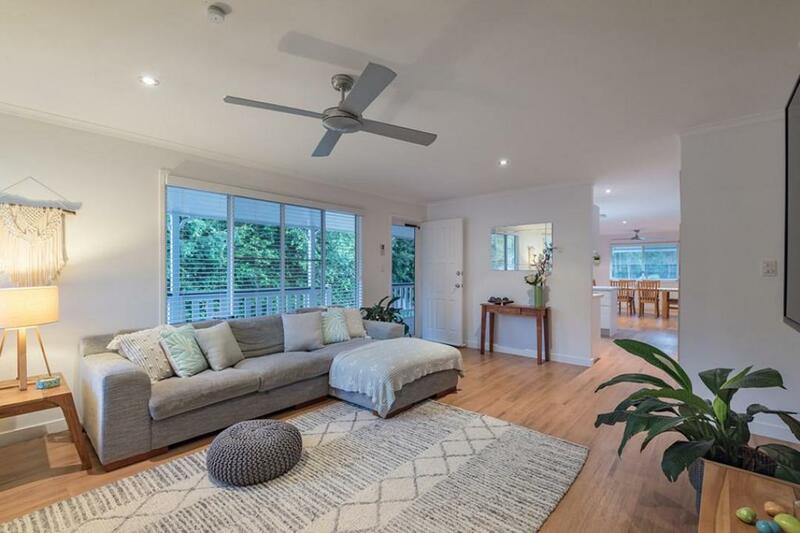 The space flows seamlessly across the front of the house, with its easy-care timber-look flooring and fresh, neutral colours. 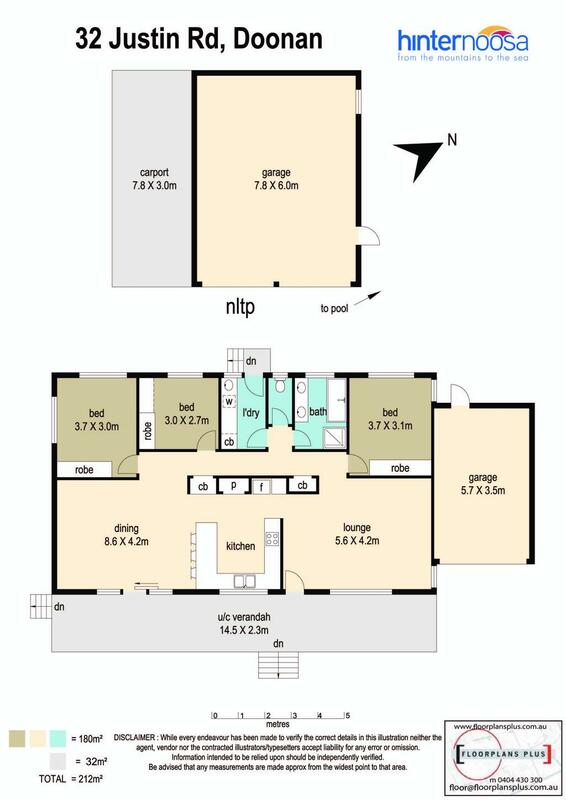 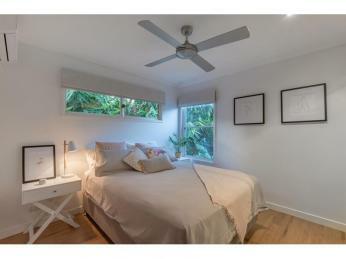 The three bedrooms have built-in robes and ceiling fans, with air-con in the master suite. 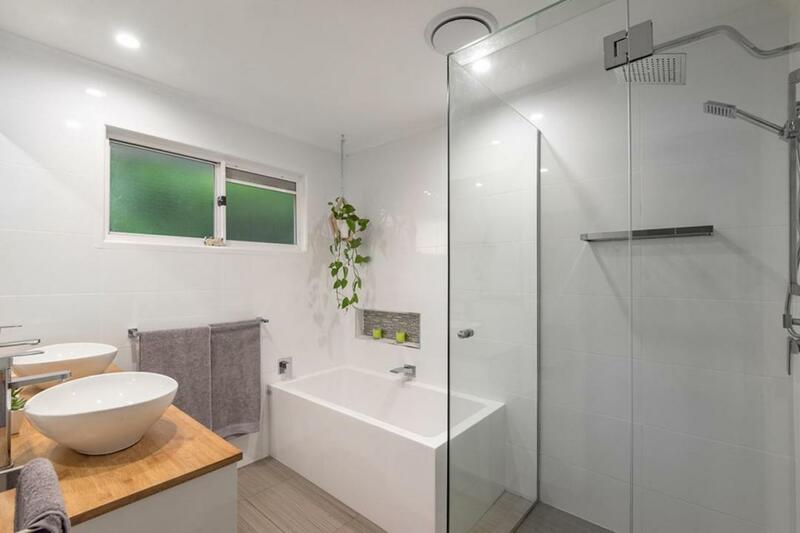 The modern bathroom features a double vanity, shower and separate bath. 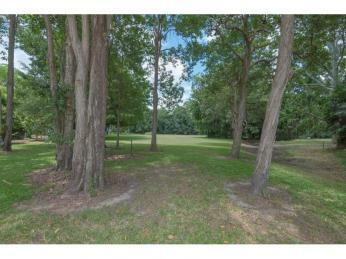 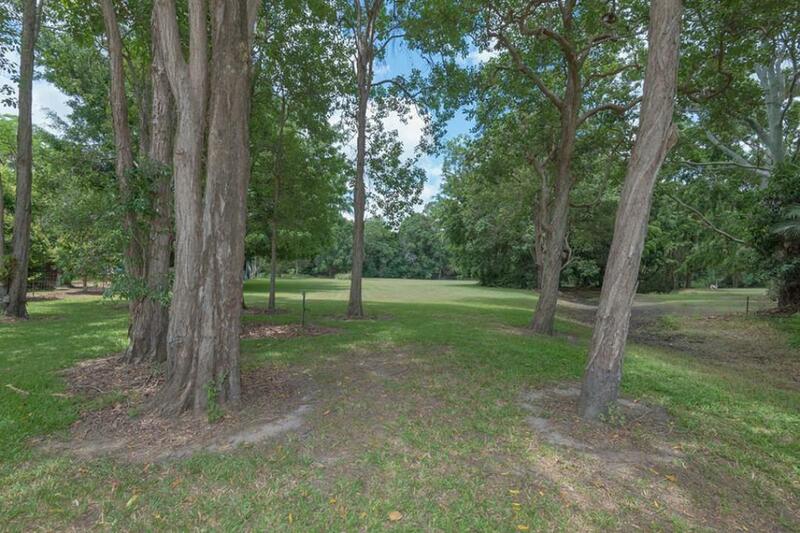 Outside, the level, park-like grounds are ideal for kids to run around on. 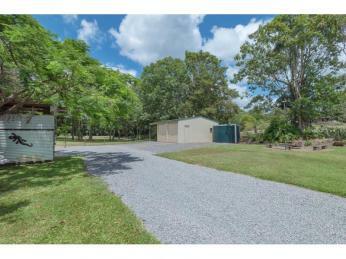 Dog-fencing means they're also pet-friendly. 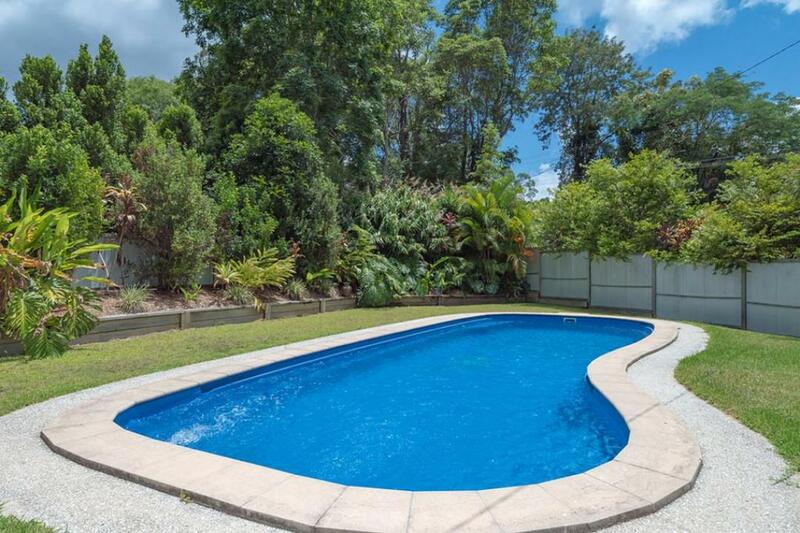 The whole family will love the private inground swimming pool. 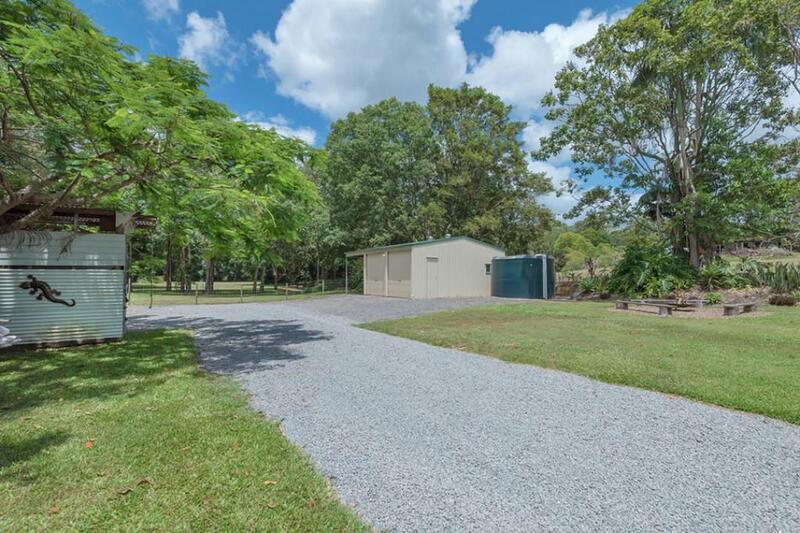 With a 2-car shed plus a machinery bay, there's nothing left to do except move in. 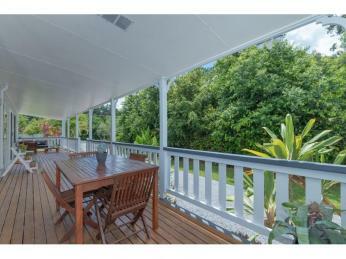 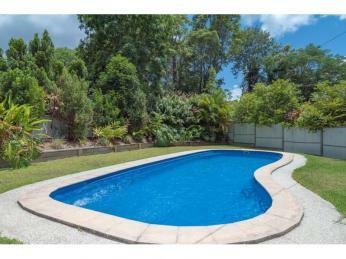 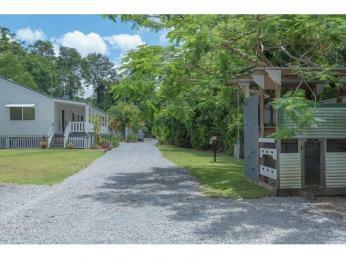 All this is located on a leafy no-through road that is less than 15 minutes to the beaches of Noosa. 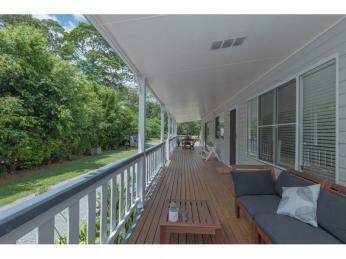 The location and features make it ideal for a young family, retirees seeking tranquility and space, or an investor. 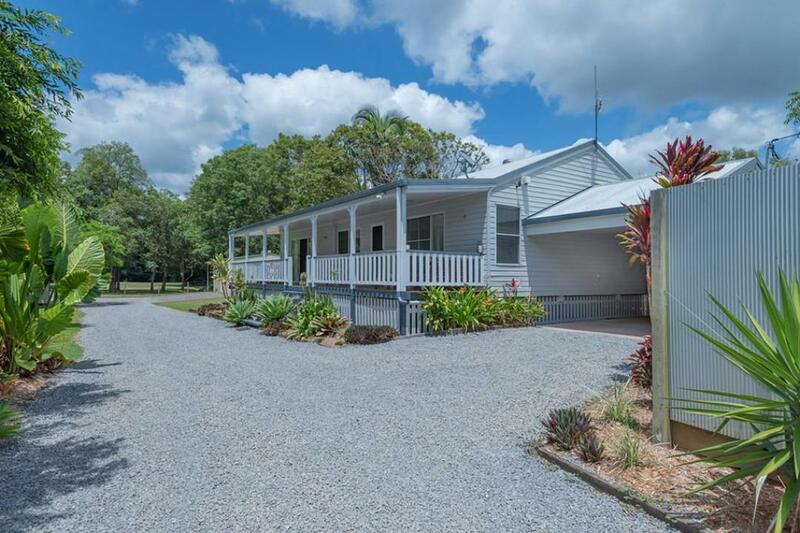 If you're after a private acreage property with a contemporary, character home, contact our agent to arrange your inspection.